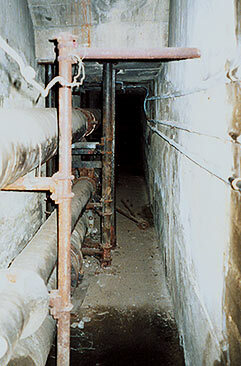 Most large mental hospitals have extensive tunnel systems. 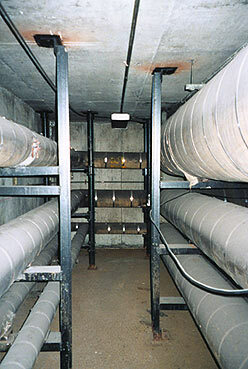 Aside from housing steam pipes, the tunnels serve to link important buildings and provide a sheltered, efficacious means of transport, be it for laundry, food supplies, or the occasional dead patient. The topography of tunnels is often more complex than that of the streets beneath which they course. Why make this rather obvious point? 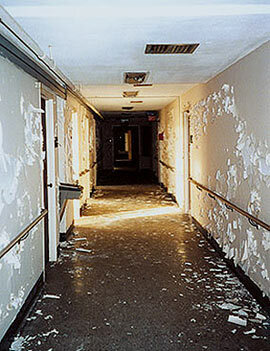 Because this asylum too has a convoluted system of corridors buried on its property. But most of the tunnels on these grounds are not linked to any buildings. They form concentric configurations in which the large structures lie like the eye of a hurricane, untouched by the commotion surrounding them underground. Entering a tunnel segment from the street level, one can hope to take an easy jaunt to the main building a mere couple hundred feet away. Never mind that the end of the tunnel extends far beyond the beam of the flashlight. Dazzled by the sheer scope of these pitch-black corridors, it is easy to forget the proximity of the structure above. The tunnels branch off now and then, at either end extending seemingly for miles. 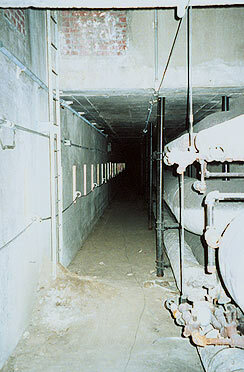 They are truly the longest tunnels we have yet encountered. And lest one lose a sense of perspective, the occasional manhole exits provide a clear view of the main building -- which always lies, if anything, a little further away. 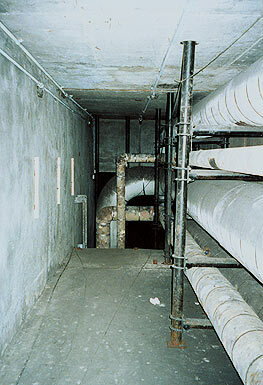 Bends in the corridors, initially greeted with much enthusiasm, reveal themselves as mere extension points for the steam pipes. On occasion, after several directional experiments, the tunnels get so narrow that it is nearly impossible to move comfortably. Still the main building remains calmly in the anticipated direction -- a bit closer now, but clearly between oneself and the tunnel one traversed through an hour ago. We would not dream of complaining about endlessly circular tunnels, but after finding oneself back on the other side of the wall beyond which the journey started, without having come across a single passage into a building, one can't help but register puzzlement. What is the point of these tunnels? 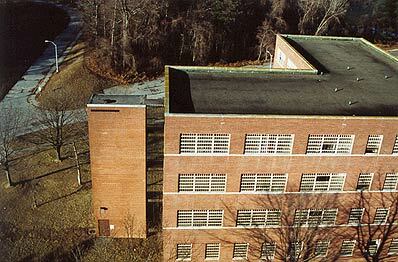 The asylum campus is large, more than 500 acres, but no major buildings have yet been torn down. 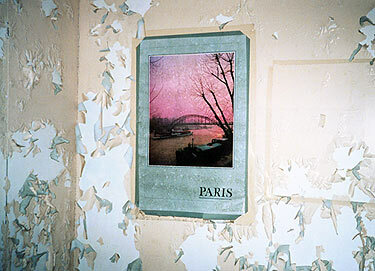 The existing structures, long abandoned, are set at a great distance from each other. Were all the transports done by cars? With one last look at the elegant main building, one might finally shift direction entirely and walk down the mother of all tunnels, which, for lack of better standards, is the length of about three subway stops, or 47,000 gurneys end to end. Here, at last, is a manhole opening into a building's basement. And there is daylight flooding through a hospital hall. But even the rooms, assuringly stocked with crutches, dental records and a flashy conductometer, can't fully erase that feeling of befuddlement. In the end, the preliminary archaeological investigation yields but one determinate realization. Even the people who lived and worked on these premises, who knew the buildings and their mysteries, who walked these tunnels and knew where they were going, probably never got to the place where they wanted to be.